Can the SCOR model drive your supply chain efficiencies? The Supply Chain Operations Reference model or SCOR has been—for decades—the supply chain excellence standard that all other supply chain excellence standards aspire to be. If you have a company with a supply chain, you probably have those four things. In fact, if you have a supply chain issue that might be solved by plucking the proverbial low hanging fruit, SCOR can help identify and root cause the issue very quickly. By simply laying out your supply chain in the four categories above, you might find that you have the people involved in managing your supply chain. You might also see that those supply chain people are practicing some level of supply supply chain activity. But if you know that your supply chain performance is poor, you can probably zero in on your processes that are the root cause. How Do I Know If I Need SCOR? If you're not sure if you need SCOR or not, take a look at that last bullet point above. How is your supply chain performing? Are your suppliers meeting your expectations? And—just as importantly—are you meeting your customer's expectations? If you don't even know how to answer that question, there's a good chance you need some kind of examination of your supply chain framework. And, as mentioned above (and by many leaders in the world of supply chain management, SCOR is the supply chain excellence standard). What Is Supply Chain Performance? A fully optimized supply chain is a supply chain that allows your company to deliver to your customers what your customer wants. And it delivers not only what your customer wants, but delivers it when your customer wants it. And a fully optimized supply chain does that by spending as little of your company's money as possible. If you don't have a dashboard or can't get to those supply chain metrics with a few swipes on your phone, then SCOR can likely make your supply chain more efficient. But What Can SCOR Actually Do for My Company and Its Supply Chain? 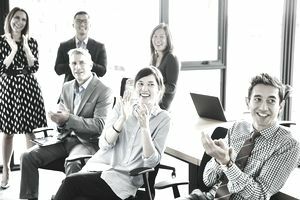 With SCOR as your supply chain reference model, you will examine those four P's mentioned above—people, practice, process and performance—and build a framework by which to improve your supply chain performance by improving the communication and transparency between all of your supply chain stakeholders. That's a supply chain way of saying that SCOR gives you a way to look at each of the functional areas within your supply chain and help make them more integrated and more efficient. What If My Supply Chain Is Already Efficient? If your supply chain is already efficient, you can use the SCOR model to understand if it can be more efficient. Is your on time delivery consistently at 100 percent? Do you have 100 percent inventory accuracy? Have you ever paid an expedite fee to move product through your supply chain faster? Using the SCOR model, you can take a bad supply chain and learn how to make it good. You might also discover that your supply chain is already good and you can make it better. But if you don't have a supply chain reference model to measure your supply chain, you probably don't actually know how well your supply chain is performing. So How Do I Get SCOR? SCOR was developed in the 1990's by supply chain consultants who were acquired and reacquired multiple times. Eventually SCOR was endorsed by the Supply Chain Council, which is now part of APICS. APICS used to stand for something like the Association of Production and Inventory Control Somethings—but it is now the basically the go to supply chain management professional organization. They can help you download the SCOR app, if you feel like SCOR might be the way to make your supply chain more efficient.